On 21st August 1689, in the Battle of Dunkeld, 5000 Jacobites under the command of Alexander Cannon attack a Scottish Government force of 800 Cameronians, commanded by Lieutenant-Colonel William Cleland, in and around the town of Dunkeld. Following their victory at the Battle of Killiecrankie on 27th July, the Jacobites – after some maneuvering northwards – moved south, with the intention of capturing Perth. At the town of Dunkeld, the way was barred by Cleland and his Cameronians. 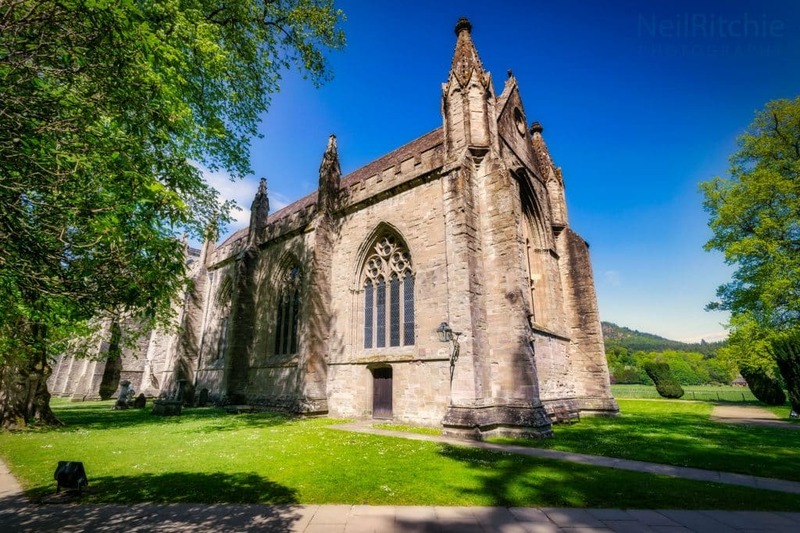 On the morning of the 21st, the Jacobite Highlanders attacked the town from all directions, forcing the defending Cameronians to be gradually driven back in the face of ferocious assaults, towards Dunkeld Cathedral where they made a final stand. 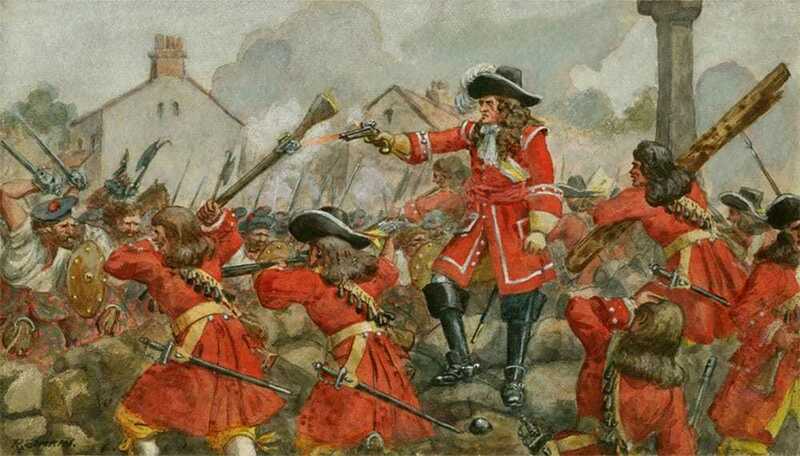 After around 12 hours of house-to-house and heavy street fighting, and with both sides running low on ammunition, the Jacobites withdrew, despite being stronger in numbers. By the end of the Battle of Dunkeld, most of the town had been destroyed by fire. Lieutenant-Colonel William Cleland was killed along with 50 of his men. The Jacobites lost around 300. The battlefield is currently under research to be included in the inventory of Historic Battlefields in Scotland and is protected by Historic Environment Scotland under the Scottish Historic Environment Policy of 2009.